Internationally acclaimed actor Adil Hussain’s 30-year-old niece Meghna Shahi has been marked as ‘doubtful’ voter and she has been left out of the final National Register of Citizens (NRC) draft published on July 30. Expressing disappointment over exclusion of her name from the final NRC draft, Meghna said she was marked a ‘doubtful’ voter despite having valid identity proofs. She said that her voter card was issued way back in 1997 and she has cast her ballot twice since then. Meghna expressed hope that Foreigners’ Tribunal (FT) will ensure justice for her. Assam has about 100 Foreigners’ Tribunals to expedite cases of ‘Doubtful’ voters and illegal foreigners. Her father, Azad Hussain, told reporters that the family was shocked to find her name was not included in the draft. “It is surprising to see that my daughter did not make it to the register even when I and my father did,” he added. 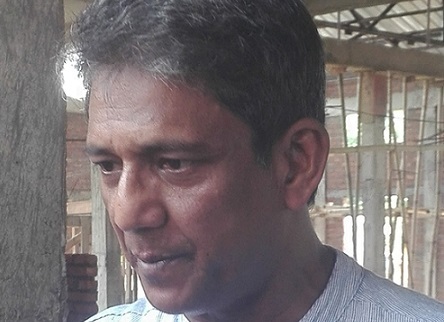 Meghna said that her uncle Adil Hussain is also worried over exclusion of her name from the NRC. Despite busy schedule, he has called up several times to check on her. Over 40 lakh people did not make it to the final NRC list.